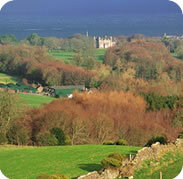 Glenarm Forest Park and Glenarm Castle with it's walled Gardens make Glenarm a wonderful place to visit. The castle is only open to visitors a few days each year, but the forest park and walled gardens are open all year round. 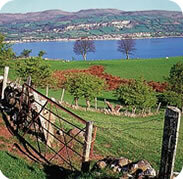 Glencloy meets the sea at the pretty harbour town of Carnlough, and here you'll find another beautiful beach. 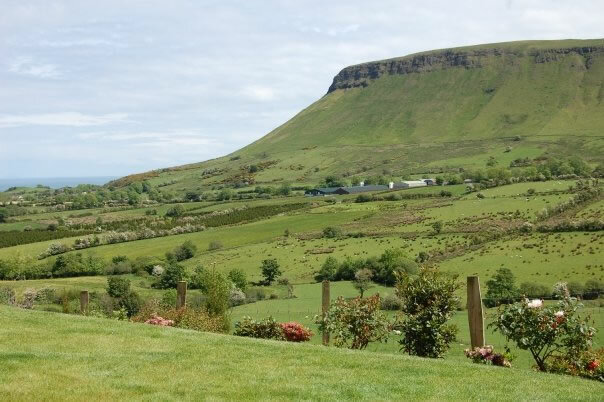 There are views of Slemish mountain from the glen, where it's said that St. Patrick spent the early part of his live in slavery, herding sheep until he escaped to Wales. A classic example of a U shaped glacier valley, and also a perfect example of a glen divid into ladder farms, (with each farm taking some good land near the river, and some mountain land higher up the valley. The glen meets the sea at Waterfoot and the beautiful beach there. 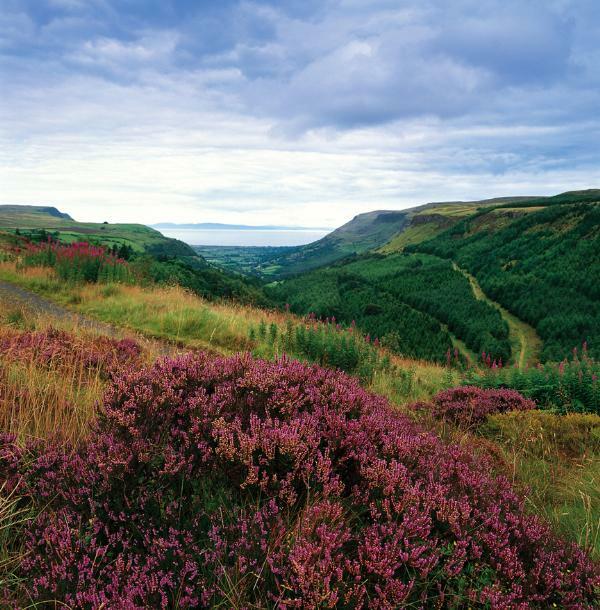 At the top of the glen the picturesque waterfalls and forest walks are an absolute must see. 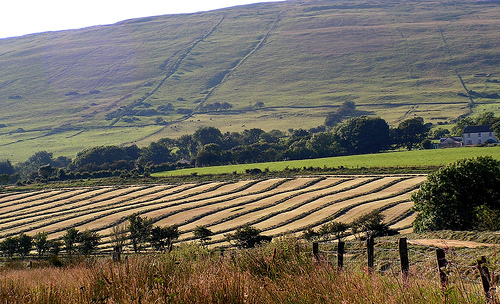 Leading down to Cushendall and at the centre of the nine glens. 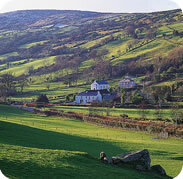 It's in this beautiful glen that the holiday cottages are located. 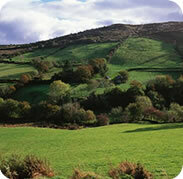 With beautiful scenic views of the surrounding mountains, and very friendly locals (i.e. us). 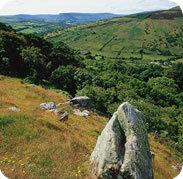 There's also the site of an ancient axe factory on Tievebulliagh mountain. The mountain was formed from a volcanic plug, the intense heat generated by molten basalt has given rise to the formation of a durable flint, porcellanite, which is found at the foot of the eastern scree slope of the mountain. An array of Neolithic artifacts, including bracelets, axe heads, chisels, and polishing tools. Flint axe heads fashioned from porcellanite that originate from this quarry have been found across the British Isles, from the Outer Hebrides to the south coast of England and across the rest of Ireland. 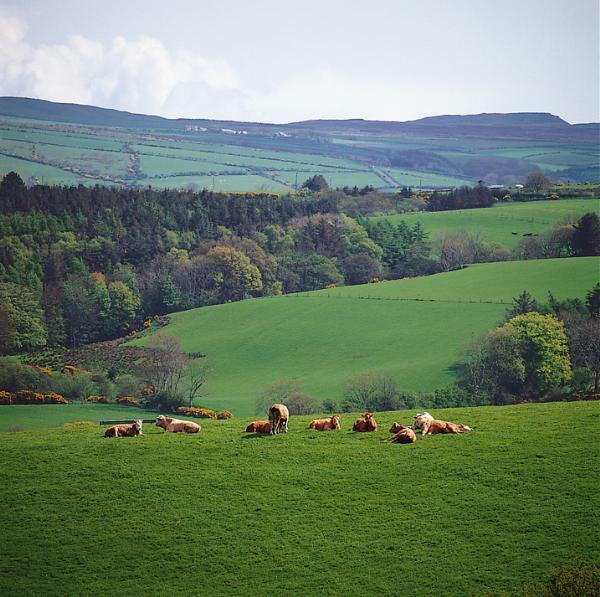 The scenery of the glen includes Trostan, the highest mountain in Antrim, boggy mountain tops, gently sloped hills, rushing waterfalls, pasture land, forests and the winding GlenBallyeamon river. Dominating the Glen is the long Lurigedan mountain, which takes a couple of hours to climb, but is well worth the effort. 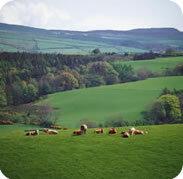 There are beautiful views of Scotland and the Scottish Isles. 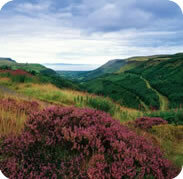 The most famous spot is Ossian's grave, and there's also the bleak but beautiful Cushendall-Ballymoney mountain road. 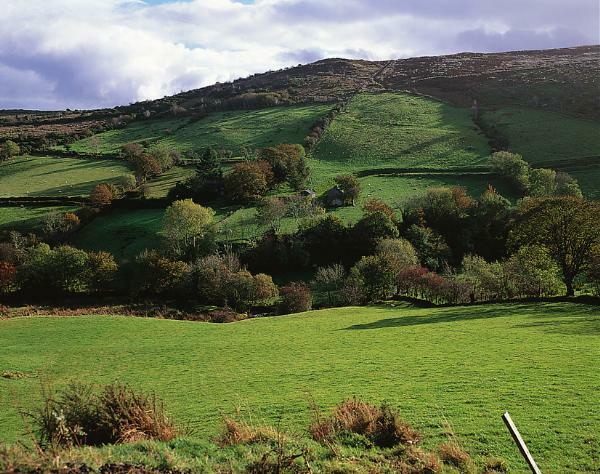 A fierce battle was fought in the area of the middle glens (Glen Ballyeammon to Glendun) in 1559 between the McDonnells and the MacQuillans. The MacQuillans had cavalry, but before the battle the McDonnells dug pits in the boggy land and covered them with heather and grass. The mounted soldiers fell in to the trap and so the McDonnells won the Battle of the Boglands. A beautiful glen leading to the white sandy beach at Cushendun, there's a beatiful riverside / forest walk through the glen, and many points of interest. 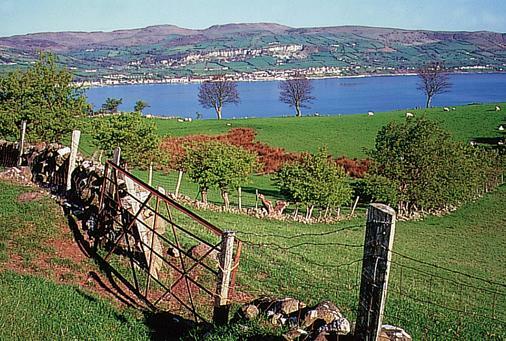 Nearby at Torr head is the closest point in Ireland to Scotland and Cushendun was formerly an important port. The town used to have the smallest pub in the world, but they extended it. 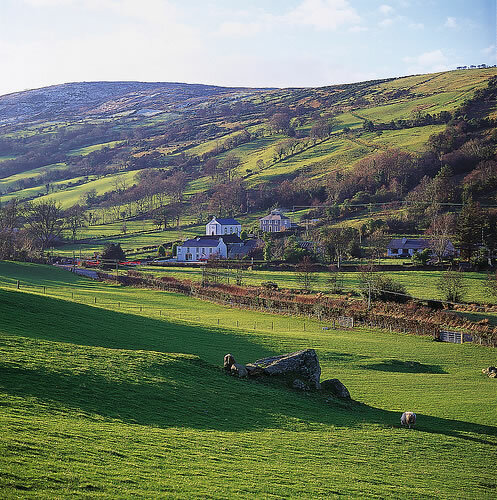 On the other side of Knocklayde from Glentaisie, this glen also leads down to Ballycastle and just before the town lie the ruins of the Franciscan Friary of Bunamargy, built for the friars by the local chieftain, Rory MacQuillan in 1485. 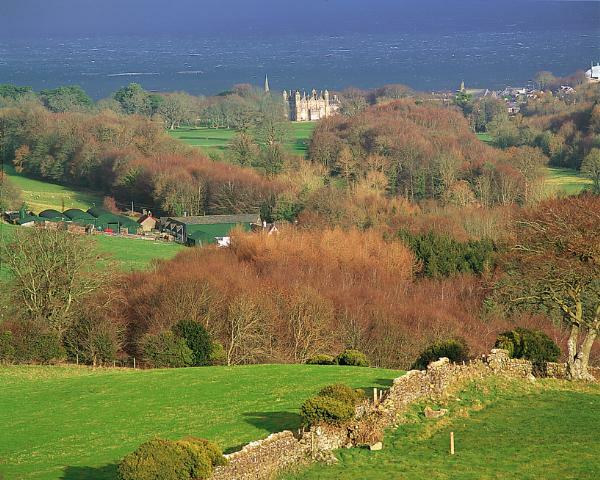 As a result of a few fierce battles it became the property of the MacDonnell Clan who had no qualms about setting fire to the friary when it was occupied by the English forces under the command of Sir William Stanley in 1584. 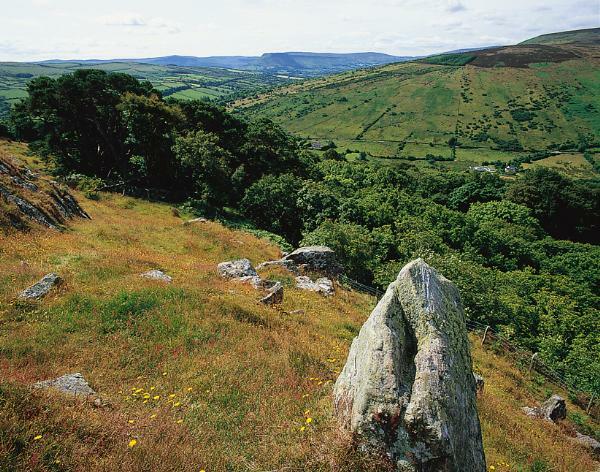 Throughout the glen there are many standing stones marking the burial places of saintly men and women and clan leaders killed in battle. A castle in Drumenia is called after Goban Saoer, celebrated in local folklore as the icon of builders and artisans. 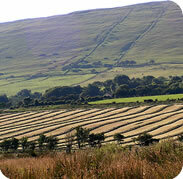 A beautiful sheltered lying in the shadow of Knocklayde mountain. 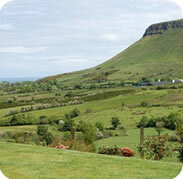 Leads down to the mile long golden beach at the beautiful historic town of Ballycastle. Kenneth North wrote a beautiful song about the Nine Glens, covered by nearly every Irish band since. The second verse makes it a sure fire favourite in the village.